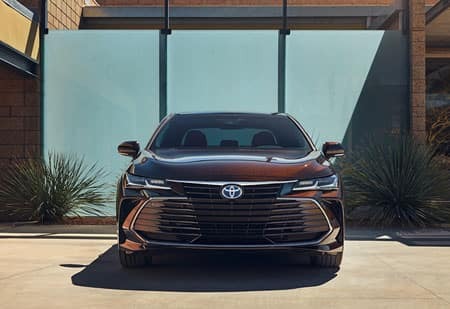 Changing the perception of what it means to drive a hybrid sedan, the luxurious 2019 Toyota Avalon Hybrid offers unrivaled refinement, eye-catching style, and advanced technology features for an unparalleled driving experience. 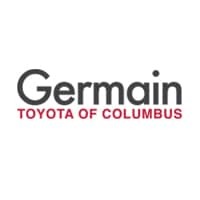 Its standard Hybrid 2.5-Liter Dynamic Force 4-Cylinder Engine paired with electric motors offers responsive power delivery along with up to a 44 combined MPG fuel economy rating**. Safety remains a key component of the Avalon Hybrid. It features a comprehensive lineup of six advanced safety technologies to help protect you from the unexpected. There’s also plenty of luxury and comfort amenities scattered throughout the interior including standard dual zone automatic climate control, four USB 2.0 charge ports, and SofTex®-trimmed heated front seats. Seductive styling combined with functional aerodynamics help give the Toyota Avalon Hybrid an instantly recognizable appearance. Distinctive exterior enhancements also play a role in the impressive fuel efficiency of the Avalon Hybrid. For example, its low 0.27 coefficient of drag is achieved in part because of tangential vents on the sides of the front bumper, underbody panels, and an available rear spoiler and rear diffuser. Sequential Shiftmatic™ gear changes, a lightweight power control unit, and a compact battery help the Avalon Hybrid earn its outstanding 44 combined MPG rating**. A newly developed 2.5-Liter Dynamic Force 4-Cylinder Engine offers a total of 215 system horsepower on the Avalon Hybrid. It’s also possible to customize your drive experience thanks to a 4-mode switch featuring EV, ECO, Normal, and Sport settings. Stretch your MPG with ECO mode, commute for short distances solely on the electric motors with EV mode, or choose Sport for even more thrills on your trip. 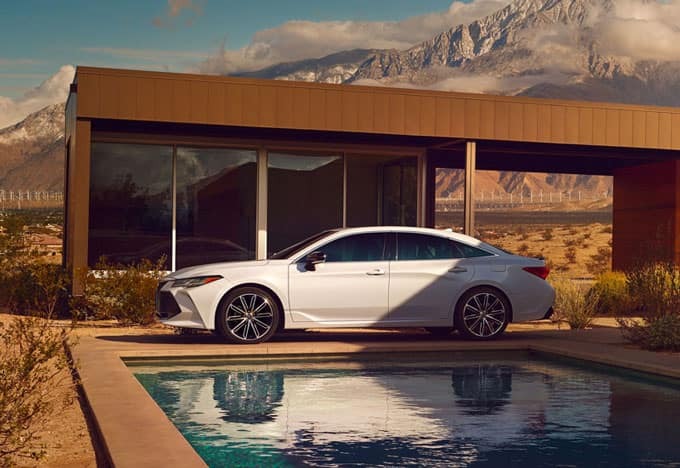 With the Toyota Avalon Hybrid, you’ll have an entirely new way to enjoy a hybrid luxury sedan. 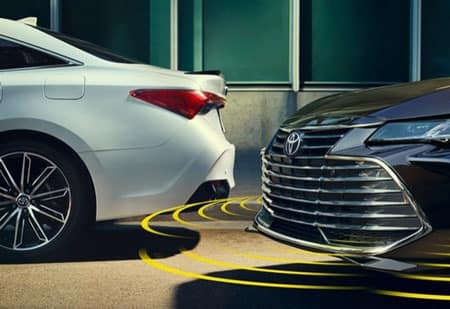 Helping to look out for the unexpected on the road, the Avalon Hybrid provides greater confidence behind the wheel thanks to standard standard Toyota Safety Sense™ P (TSS-P). Features found in this comprehensive collection of safety technologies are Lane Departure Alert with Steering Assist (LDA w/SA), a Pre-Collision System with Pedestrian Detection (PCS w/PD), Full-Speed Range Dynamic Radar Cruise Control (DRCC), and Automatic High Beams (AHB). Blind Spot Monitor (BSM) with Rear Cross-Traffic Alert (RCTA) is also offered as standard equipment across the entire Avalon Hybrid trim range. In the unfortunate event of an accident, collision sensors automatically will deactivate the battery in an effort to reduce the chance of a high-voltage discharge caused from damage. You’ll also be surrounded by ten standard airbags inside the Toyota Avalon Hybrid.